I’m sure you’ve heard the phrase ‘The grass is always greener on the other side’. The idea behind this phrase it’s greener because you don’t have it. We all tend to focus on what we don’t have. Bigger house, better job, better body… Basically what you want is better than what you have. I have done some pondering on this question myself and in many cases, I’ve realized I haven’t tended to what I have, to ensure my ‘grass’ is green and my ‘yard’ is flourishing. Ever think the solution is to scrap an idea or situation to go for a clean slate and rebuild it? This type of thinking if done too much is what I call issue avoidance. You’re not addressing the need of completion of the problem at hand. Addressing issues or tasks to completion for the final outcome – it’s hard. Real hard. Otherwise the world would have all problems solved and no adventures to the ups and downs of life, never mind the need for over inundating news and political debates. So how does a person get to a place where they take stock of whether or not to tend to their yard or to move onward to a new yard? Typically if it’s a big decision I’m making I will ask these questions and write down my quick thoughts then put it away for a few days. Then I will ask these questions again and write down more thought-out answers. When I’m finished I compare the two set of answers and realize when I allow time to think through it and give myself time to assess, I’m happier with my resolve and decision. So for right now, my grass is a beautiful shade of green. I hope this helps in your decisions when you’re thinking the grass is greener on the other side, just keep in mind every yard needs a little work where ever you go. Also it’s okay to visit and/or own those gorgeous botanical gardens, just ensure you’re doing it for the right reasons. Did you like this blog? If so ‘Like’ below and ‘Share’. 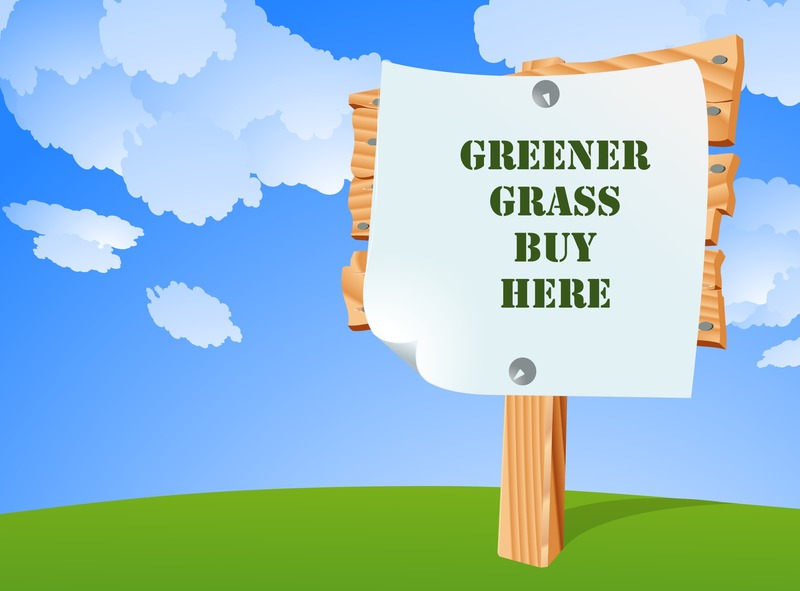 Tell me how you tend to your yard and keep your preverbal grass green in the Comments below.